Growing up I wasn’t much of a dipper when it came to food. But, that was probably because we didn’t really eat a whole lot of appetizers or “dippable” food. I don’t think I even had wings until I was in my late teens. Yes, I had a sheltered childhood. As an adult, I’m making up for lost time, though, with this super easy 3 ingredient spicy ranch dipping sauce recipe. 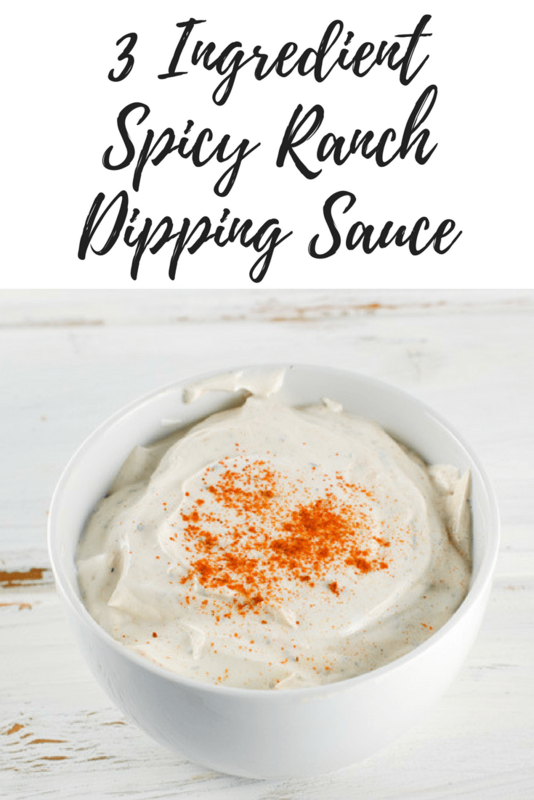 I love that this spicy ranch dipping sauce takes just a couple of minutes to make but I do suggest making it ahead of time. If you can let the dip sit in the refrigerator for at least a few hours all the flavors will really meld together and taste all the more delicious. I usually make it the night before so that’s one less thing I have to do during the day of the party. 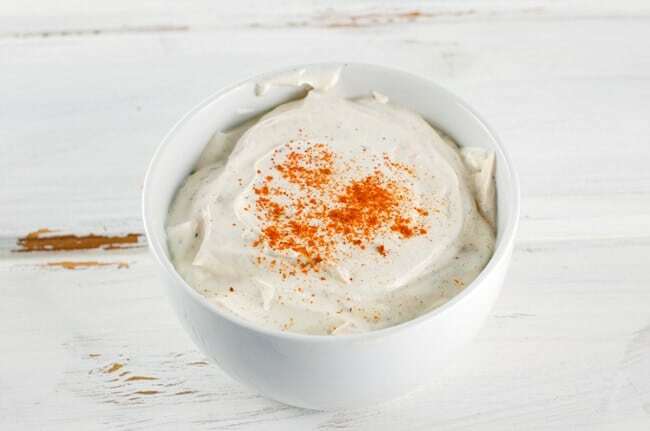 The spicy ranch dip goes with so many things such as potato chips, chicken wings or tenders, fresh veggies, and I even like to thin it out with a bit of milk to use a salad dressing. 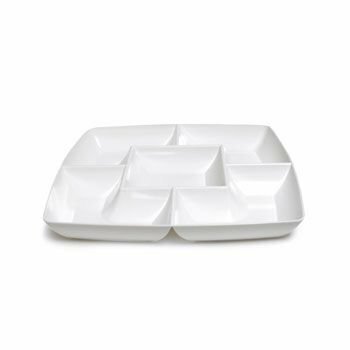 I usually pile it into one of these small white bowls from World Market then place on a large platter or use a chip and dip set for things like chips and veggies. 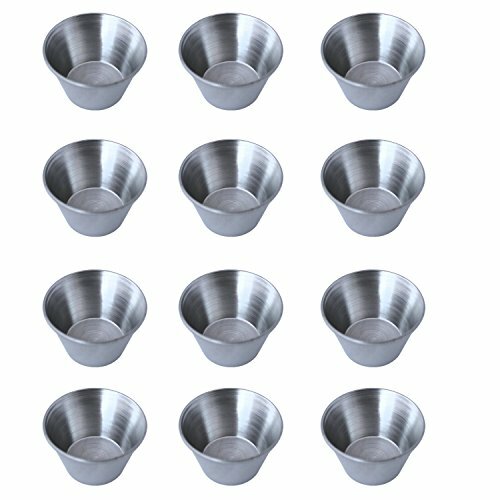 If I’m serving it with something like wings I like filling these small sauce cups with the dip so no one has to worry about double dipping or it being too messy, etc. Mix all of the ingredients together until thoroughly combined. I usually mix them together in the sour cream container for one less dish to wash. Taste for spiciness, adding more cayenne if desired. Refrigerate for at least 3 hours or preferably overnight to allow flavors to meld. Top with a sprinkle of cayenne before serving if desired. 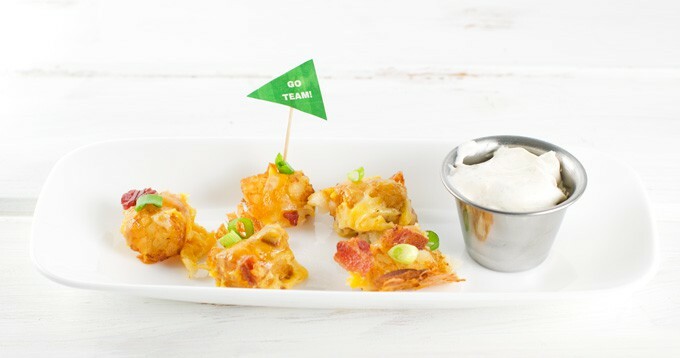 Serve with dippers such as chicken wings, fresh veggies, chips, a topper to potato skins, etc. If desired, you can use hot sauce instead of or in addition to the cayenne. If you have leftovers this dip is also great as a salad dressing when thinned out with a bit of milk.